The Village Cheese Company is a micro cheese plant based on the estate winery concept in Armstrong, BC. Their old fashion good times atmosphere will return you to a time when life was relaxed and fun. A time when delicious cheese was as close as your local dairy. When butter on your table was churned from field fresh cream just hours earlier. When a dip in the old swimming hole couldn't beat a scoop of luscious homemade ice cream. Pinot Gris - A mild cheddar is a good partner for this crisp, lively wine. 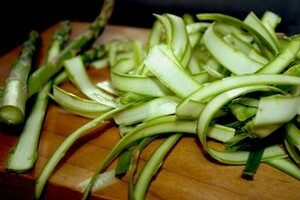 Enjoy a fresh salad, and your mom's home made grilled cheese on hearty baked bread for lunch. It doesn't get any better. NV Brut - The expression is bubbles go with everything. In this case a nice sharp parmesan crumbled on a cheese board with some crostini's just out of the oven. 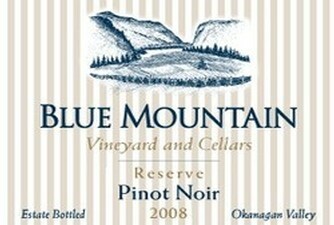 In 2013, Blue Mountain re-packaged their Estate wines. 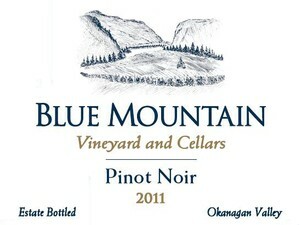 Wanting to focus more on being 100% Estate grown the new labels reflect the importance of place celebrating the extraordinary view from Blue Mountain facing south down the Okanagan Valley towards McIntyre Bluff. These wines were formerly called cream label and are now called Estate wines. In 2014, the first of the Reserve wine re-packaging will be introduced. These are the former Stripe Label wines. The Reserve wines are made from the following process. There are 10 to 13 lots of Reserve Pinot Gris, Chardonnay and Pinot Noir grown on site, each with its own unique make up of clones and clone combinations. Each lot is harvested separately and then aged in either barrel or tank seperately. The wine produced from these individual lots are then tasted blind and 2 or 3 lots are chosen that become the Reserve Wine. 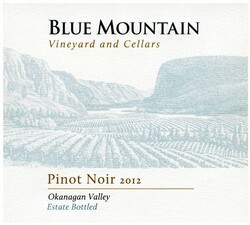 The blend of those 2 or 3 lots is then tasted against back vintages of Blue Mountain wines to maintain consistency. The wines are then aged for an additional year and a half in French Oak Barrels before they are released giving them greater complexity, structure and ageablility. 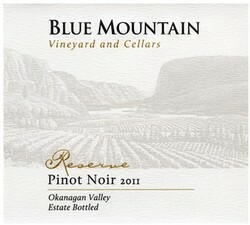 In early May, Blue Mountain released the 2011 vintage of the Reserve Pinot Gris, Reserve Chardonnay and a small amount of the Reserve Pinot Noir. Here are the labels you may be familiar with alongside their new replacements. May 22nd, 2014 is Chardonnay Day, an annual celebration where tasters and tweeters around the world discuss the virtues of our favourite grape varietal. The conversation takes place over 24 hours, all through the day, regardless of where in the world you’re located. There are meetups and tweetups and Taste & Tweets – join in on Twitter at #chardday. Better still drop in and see us – we’re toasting Chardonnay Day all day long. Receive free shipping in BC on your online orders, placed between May 19th and May 25th, that include at least one bottle of the 2012 Blue Mountain Estate Chardonnay or 2011 Blue Mountain Reserve Chardonnay. 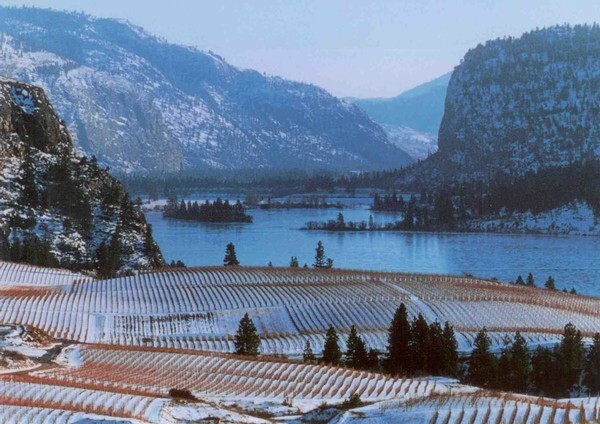 Fall, Winter, Spring, Summer at Blue Mountain Vineyard overlooking McIntyre Bluff to the south. 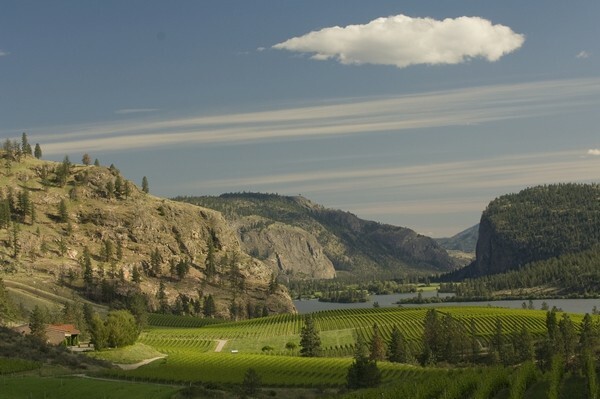 Which season will you visit the Okanagan this year? Here are some of our favourite photographs of the four seasons. 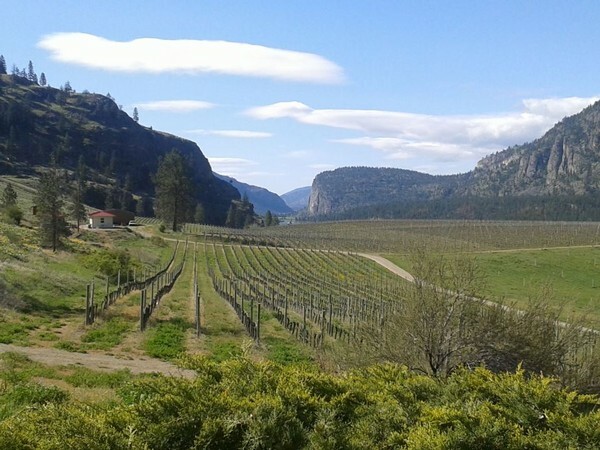 Planning to visit Blue Mountain Vineyard & Cellars between May 1st and October 12th? Take a photo of yourself, friends or family using our #visitbluemtn frame. Share you photo on Twitter, Instagram or Facebook and tag it with #visitbluemtn. The winner will be drawn on October 15th, 2014. Remember to "like" us on facebook and "follow" us on twitter / instagram!! Raudz - get there early, they don't take reservations unless you have a party of 8 or more and the place is full by 5:30pm Or try their new offering Micro, just a couple doors down towards Bernard Ave. 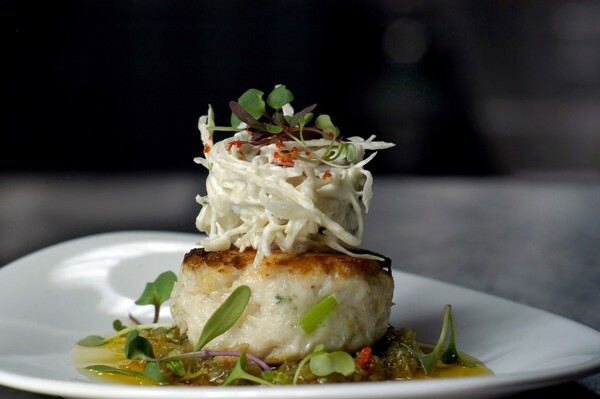 Waterfront Grill - one of the most talented Chef's in our country. We are fortunate to have Mark Filitow in the sunny Okanagan. 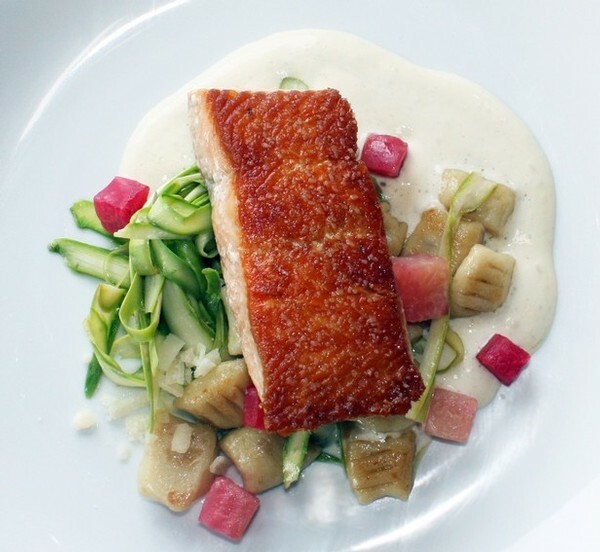 The food is authentically local and unique to the valley. 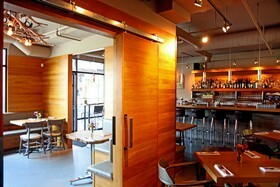 Bouchons - An elegant French bistro in the heart of Kelowna, incredible flavours, extensive wine list. Treat yourself to our bubbly by the glass. La Bussola- Classic Italian for over 25 years. Great wine list. Cabana - If you just want to head out with friends and enjoy a fun night out this place is always ready to party. Great food, great wine, bring your great friends! 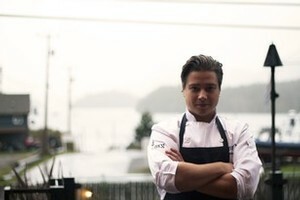 Smack Dab- The newly named restaurant at Manteo Resort is modern and cool. There is something for everyone on the menu and the patio provides some of the best people watching anywhere. Fixx Cafe - Fresh, tasty, extensive menu with something for everyone. 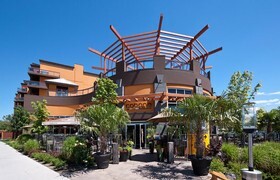 Great for lunch or dinner in the mission area of Kelowna. Mabui - Authentic Japanese , great for sharing plates and genuine hospitality. Poppadoms- authentic Indian with all the ingredients on the menu being sourced locally except for the spices. Cozy atmosphere, friendly staff. Joey's - Casual dining with a global theme. Enjoy our Gamay Noir.